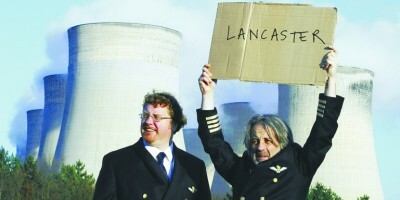 Lancaster Arts is the University's award winning arts and entertainment programme on your campus doorstep. Each year we bring talent from around the UK, Europe and the world directly into the Great Hall Complex - so you don't even need to leave the campus to get your culture fix! Relax your mind through our classical concert series in the Great Hall. Tease your senses in our theatre and dance programme in the Nuffield Theatre one of the best studio theatres in Europe. Expand your imagination at the Peter Scott Gallery with contemporary exhibitions and historic collections. What concerts and performances can I see this term? When you join our Supporters Scheme you gain access to free tickets to our music, theatre, dance, circus events throughout the academic year. Pay a small annual fee and thereafter enjoy great entertainment, for free, throughout the year. The membership scheme is open to all students (from any University) and all young people under 26. This includes mature students of any age. When you purchase a Under26s Supporter package you get the following benefits. FREE tea or coffee at all of our events. For each qualifying production there is an alloted amount of free tickets for U26 Supporters. A handful of productions don't qualify and - when this is the case - we will state it on the relevant webpage. Free tickets will only be released 2 weeks before the first performance date to ensure all U26 Supporters have the chance to obtain a free ticket. Once the free ticket allocation has been exhausted there will be the option to purchase a discounted student ticket. If you have a free U26 ticket and you can no longer attend the production you must let us know in advance. Failure to use / collect your free ticket could restrict you from qualifying for future free U26 tickets. Your membership will lapse in June each year. Email us at boxoffice@lancasterarts.org or send us a message on Facebook or via Twitter.